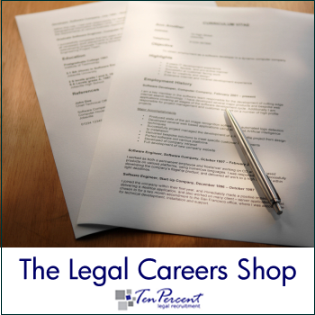 The Legal Recruitment Blog is written by Jonathan Fagan, Recruitment Consultant, non-practising Solicitor and Managing Director of TP Legal Recruitment (Ten-Percent.co.uk Limited). JonathanFagan.co.uk, InterimLawyers.co.uk and ChanceryLane.co.uk are all part of the Ten Percent Group of websites, donating 10% of profits to charity. We also produce the monthly Legal Recruitment News containing further articles at www.legal-recruitment.co.uk. You can email Jonathan at jbfagan@tenpercentgroup.com or call him on 01824 780937.